This rambling vine-like shrub is a hummingbird magnet! 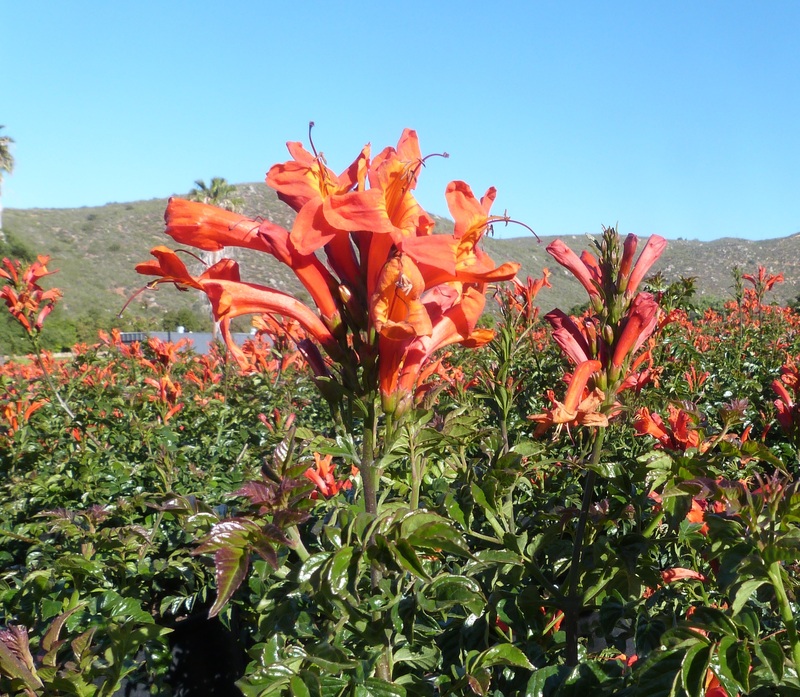 The tubular bright red-orange blooms appear in fall; they persist through winter in very mild climates. Plants can be grown and pruned into a shrub form or trained onto tall supports. It is a fast grower and can quickly cover fences or arbors. Cape honeysuckle can also be planted in large containers as spectacular patio plants. Plants grow best in full sun or with some light afternoon shade. In climates with very hot and dry summers, you’ll need to provide some supplemental water. In climates where they perennialize, the evergreen plants can become drought tolerant once established. While they can be grown in either acidic or alkaline soils, they do require good drainage. Plants should be treated as annuals in climates that have temperatures below 20 F. Plants tend to be root and stem hardy above 23 F, however they may drop their leaves with temperature in the 20s. Know that this plant can spread; stems will root into the ground where they touch the soil.